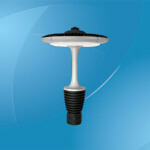 Bollard lights are short and upright ground-mounted lighting fixtures. 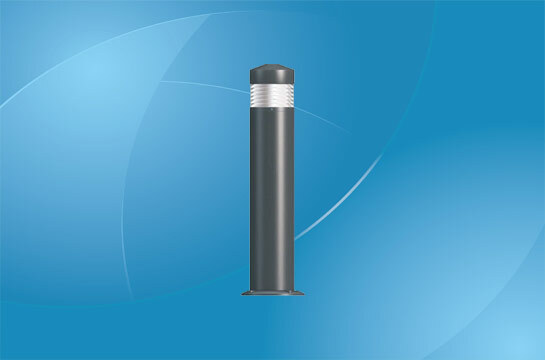 Originally used as guiding lights around harbors, decks and aboard ships, modern bollard lights are now widely used as pedestrian control devices, traffic barriers, parking delineators, signage and decorative items. The lighting source has also transitioned from gas and wicks to electricity-powered bulbs and lamps. While halogens lights and metal halide ballast lamps have long been paired with bollards, the recent decade’s LED technological leap and price drop has ushered in a new era of brighter, longer-lasting and more compact bollards. Coupled with their significantly lower power consumption and lesser power to illumination ratio, LED bollard lights appear to have gained permanent ascendancy over halogen and fluorescent bollards. Modern decorative bollards come in all shapes and sizes. From slim cylindrical posts to beautiful lantern-shaped ones to quirky decorative pieces, the lighting source must be able to accommodate their unique cavities and nooks. Enter the flexible LED arrays, which can be made-to-order in strips, curves or spirals! In fact, industry observers have credited LEDs for escalating the pace of development of non-standard-shaped bollard lights, leading the way for more compact, slimmer and curvy bollards! Bollards are usually installed in large quantities to delineate roads, organize urban pedestrian traffic or even serve as signages in private housing estates. They are automatically turned on every day of the year. This typically leads to substantial expenditures in electricity. 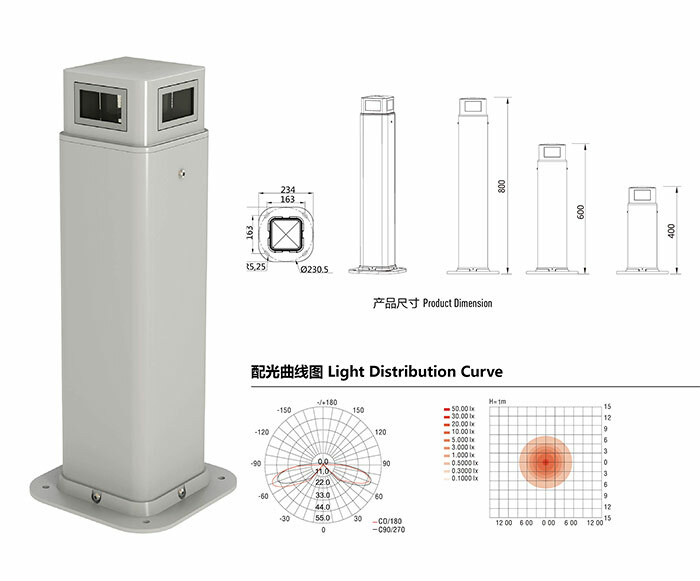 However, LED bollards lights are famous for their low energy consumption, which could potentially generate savings of between 23% and 83% compared to typical halogen, metal-halide or compact fluorescent lamps. These savings alone could repay the initial investment within just a few short years. 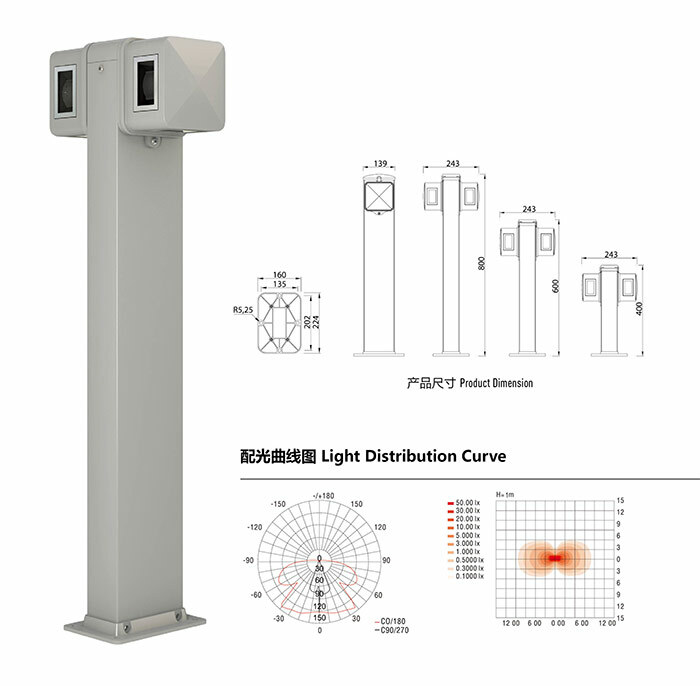 In addition, LED bollard lights last from 50 to 100 times the length of other forms of light. Manufacturers usually peg their lifespan at a conservative 50,000 hours, which translates to about eleven years (based on 12-hour daily use). Unlike neon or halogen lights, LED lights generate their unique illumination through a self-contained internal process call electroluminescence. The process does not require the presence of catalyst gases or compounds to produce colored illuminations. 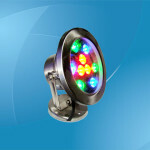 As such, LED bollard lights can be customized in a variety of colors and depths. LED bollard lights possess another huge advantage over most other light variants – safety, especially when compared against metal-halide lamps. Since LEDs do not contain mercury, there are no concerns over mercury vapor poisoning. The absence of ballasts, arc tubes or the infamous cycling effect also negates the risk of explosions. These bollards also has inbuilt ground fault circuit interrupters as protection against electrical shock. 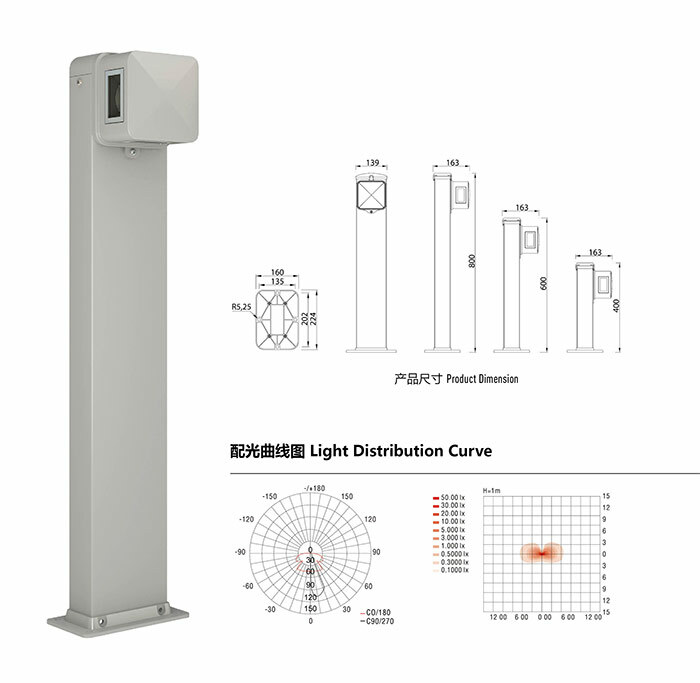 In high traffic pedestrian areas, accidentally touching the LED bollard lights will no loonger result in burned or blistered hands, as the electroluminescence process occurs at room temperature, and does not require the high heating levels of competing products. The relatively-simple construction of LEDs minimizes the risk of damage from shocks and sudden jolts (collision with pedestrians or vehicles). It is not an uncommon sight to see badly crushed ballasts with functioning lights! 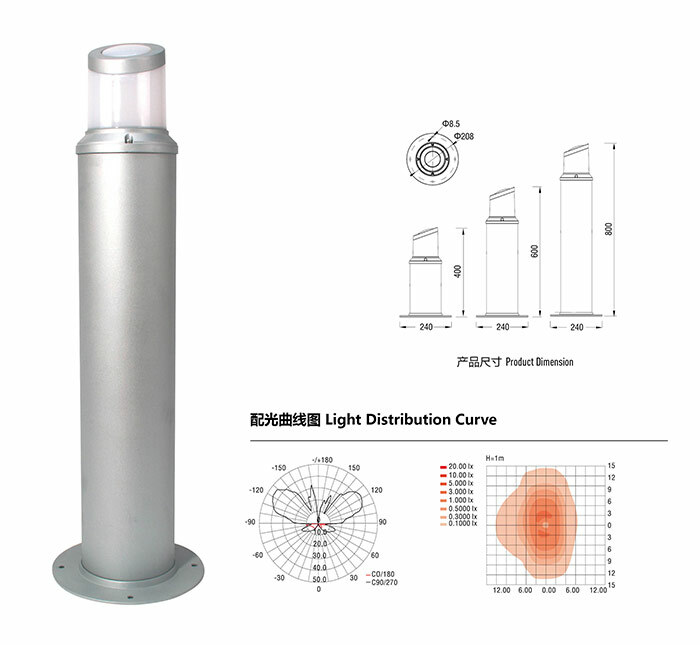 LED Bollard lights are usually equipped with water tight and weatherproof casings, which will ensure full maximization of the LEDs long lifespan. For even greater savings, some LED bollard lights are fitted with photocells that store energy from the sun during the day. The internal timers would automatically activate the self-powering lights at dusk. LED bollard lights are normally built using polycarbonates, anodized aluminums, acrylics, tempered glasses or a combination of all four. The finishing is usually tailored to match, but not blend in, with the surroundings. At times, the internal light cavities are also coated with aluminum or aluminum paint to further enhance the LED’s illumination. 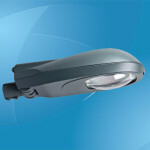 The lenses covering the light cavities, meanwhile, are sealed to prevent the entry of dust, moisture or small insects. This ensures against any degradations in illuminations. The entire housing is routinely coated with several layers of finishing, including a last coat of polymer sealers. 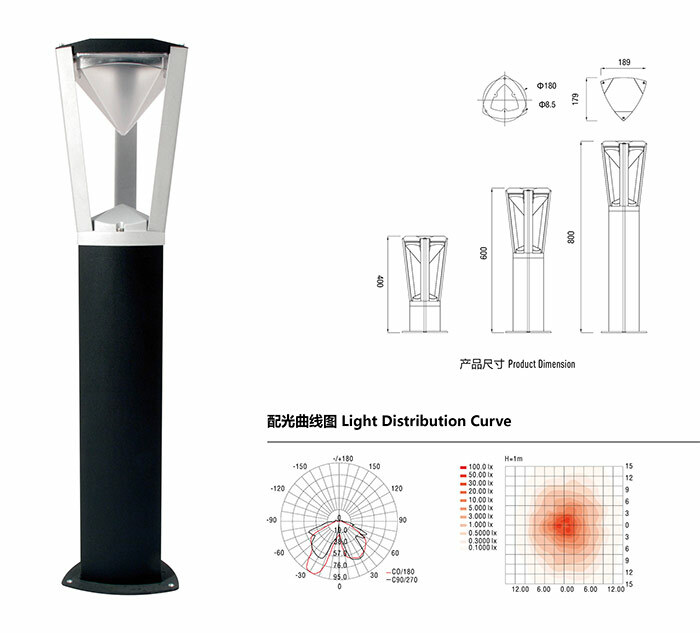 Power: 8W; Input voltage: AC 100-277V; Frequency range: 50-60Hz; Light sources: White/Red/Green/Blue LEDs, 3 pieces; Luminous flux: Max 319 lm; Weatherproof rating: IP65; Working temperature: -25-+50°C, Relative humidity: 10-90%. 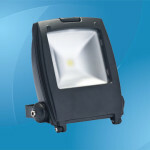 Power: 8W; Input voltage: AC 100-277V; Frequency range: 50-60Hz; Light sources: White/Red/Green/Blue LEDs, 3 pieces; Luminous flux: Max 243 lm; Weatherproof rating: IP65; Working temperature: -25-+50°C, Relative humidity: 10-90%. 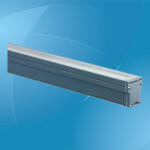 Power: 8W; Input voltage: AC 100-277V; Frequency range: 50-60Hz; Light sources: White/Red/Green/Blue LEDs, 3 pieces; Luminous flux: Max 350 lm; Weatherproof rating: IP65; Working temperature: -25-+50°C, Relative humidity: 10-90%. 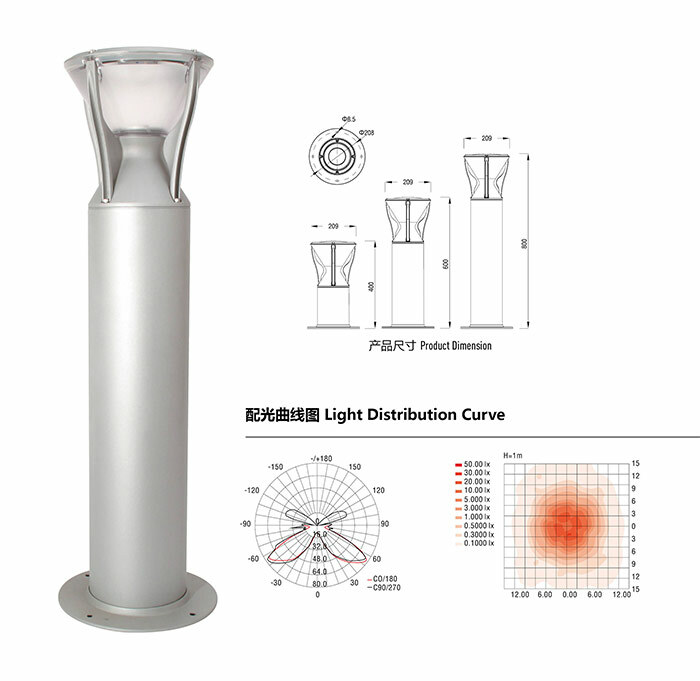 Power: 8W; Input voltage: AC 100-277V; Frequency range: 50-60Hz; Light sources: White/Red/Green/Blue LEDs, 3 pieces; Luminous flux: Max 388 lm; Weatherproof rating: IP65; Working temperature: -25-+50°C, Relative humidity: 10-90%. Power: 8W; Input voltage: AC 100-277V; Frequency range: 50-60Hz; Light sources: White/Red/Green/Blue LEDs, 3 pieces; Luminous flux: Max 132 lm; Weatherproof rating: IP65; Working temperature: -25-+50°C, Relative humidity: 10-90%. 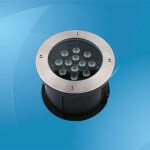 Power: 16W; Input voltage: AC 100-277V; Frequency range: 50-60Hz; Light sources: White/Red/Green/Blue LEDs, 6 pieces; Luminous flux: Max 355 lm; Weatherproof rating: IP65; Working temperature: -25-+50°C, Relative humidity: 10-90%. 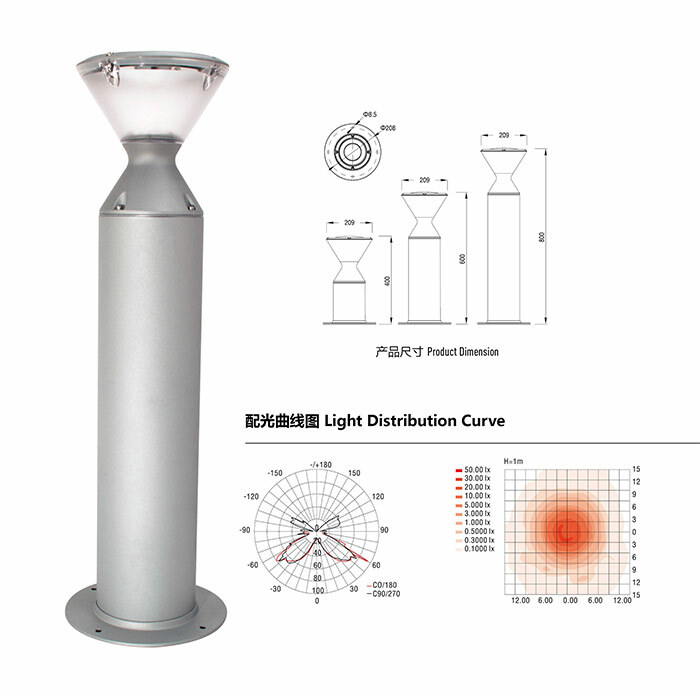 Power: 11W; Input voltage: AC 100-277V; Frequency range: 50-60Hz; Light sources: White/Red/Green/Blue LEDs, 4 pieces; Luminous flux: Max 192 lm; Weatherproof rating: IP65; Working temperature: -25-+50°C, Relative humidity: 10-90%.